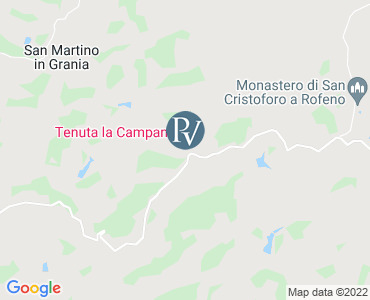 This apartment is on a charming, medieval country estate of 1050 hectares located in the middle of the Crete Senesi, a wonderful area South of Siena, characterized by its hilly yellow/red terrain which is typical of this area. The countryside is enriched by woods, cultivated fields and deep gorges that make the scenery unique. The country estate is composed of several buildings of historical and artistic importance. The apartments are situated close by in two separate buildings. All the apartments have been carefully renovated with exposed-beams ceilings and terracotta floors; they are furnished with antique furniture which makes them especially charming. At the guests disposal a private swimming pool (6x12m - 1.10/1.90m deep). The guests can also use the tennis court and all the facilities. Sleeps 6 - 117 sqms. First floor. Living room with fireplace, kitchen, two double-bed rooms, one twin-bed room, two bathrooms. LOCAL TAX - all tourists are required to pay €0.50 per person per night (except children under 12), for the first 3 days. The payment is compulsory and must be in cash directly to the owner on arrival. All prices are per week for the apartment only and it is booked between 5:00pm and 7:00pm pm on your arrival day (Saturday) to 10:00am on your departure day (the following Saturday). Please note that availability shown is subject to confirmation - please call our reservations team.